The only thing constant is change. On some days, when I have a migraine, this is a comforting statement. On other days however, when the summer sun slants just so and the breeze carries the sound of my children’s laughter to my ears, it feels bittersweet. I want to race thru the tough times and press pause for the magical ones. This, of course is not how life works. Change is often hard but it happens and the more we fight it, the more we miss out on the present. Summer strawberries are absolutely perfect this week. My kids have eaten them by the bucket and my three year old has the strawberry stained hands, face and legs to prove it! I am so grateful for these perfect summer gifts and yet I find myself rushing to preserve them- in jams, compotes and crisps. At the height of their perfection, I cannot help but think that come January in Wisconsin, we will be wishing for them. 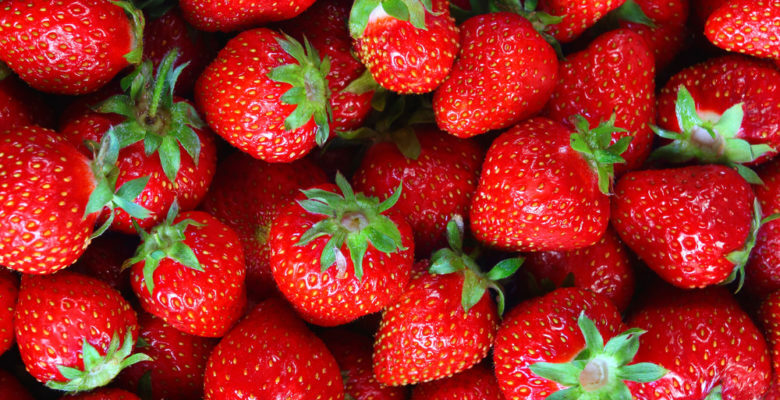 Strawberry jams and pies are wonderful but in racing to preserve their fleeting perfection, I miss out on the perfect moment for strawberry eating right now! And so this afternoon, I took a lesson from my kids who seem to have no trouble living in the moment. I joined in eating strawberries with them on our deck. We waxed poetic about how juicy and delicious they were and how fruit tastes so much better when we pick it ourselves right off the vine. By the end of our strawberry session, we all had sticky hands and the lingering taste of sweetness and summer on our tongues. Viewing change as a constant invites us to embrace all feelings and situations- both those lovely ones like summer strawberries and the more difficult ones like heartache, disappointment and pain. The good and the bad, the light and the shadow, are all part of the experiences that shape who we are. Each will pass but taken as a whole they create a life. We can long for the past or worry about the future but either way, life will happen, circumstances will change and time will pass. Realizing this, isn’t it better to be at peace and present for the ride? My wish for all wonderful souls this summer is for glimpses of grace disguised as ordinary moments. Take a bike ride. Jump in the lake. Count the stars. Savor an ice cream with your kids and maybe toss some strawberries on top! Make these moments count because in the end, they magically add up to create your one precious life.